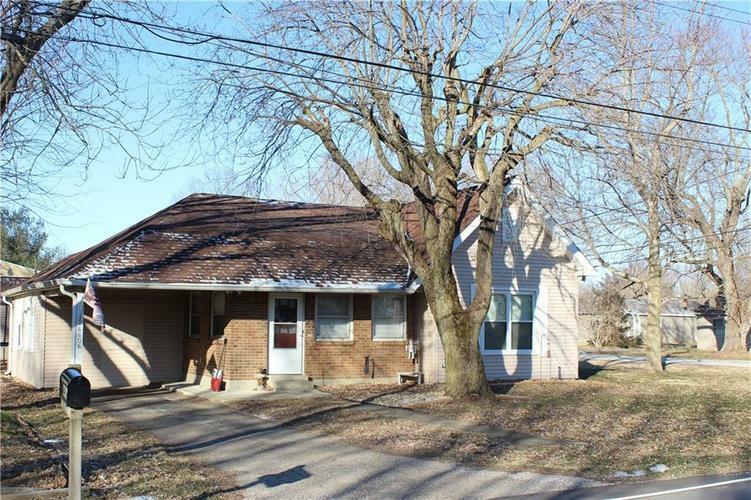 Check out this charming 3 bedroom, 1 bath home in the heart of Cartersburg! All rooms are spacious and hold tons of character! This home sits on a large lot with a 30x40 pole barn that has been insulated with the spray foam and an additional mini barn that is great for additional storage space. Both have electricity ran to them. Enjoy your evenings in the backyard with the fenced in yard and deck. HVAC 2012, Roof/Siding 2013. Last 36 months- Pressure tank, furnace blower motor, water softener (rented) Aqua Systems, Sump Pump, flooring in dining room, kitchen and laundry room. Plus the kitchen cabinets were painted and river rock and landscape stones. Directions:Take US 40 to Cartersburg Rd. Turn north on Cartersburg Rd. House is 3/4 of a mile down and sits on the corner of Cartersburg Rd and Short St.